It costs 8 x less to retain existing members than acquire new members. Getting your member services right is critical, so we are pleased to offer a great new mystery shopper service in conjunction with Stephanie Richardson, former Head of Professional Recognition at the Institute of Physics. What is mystery shopping and why use it? Our mystery shopper will put you in the shoes of your members/customers and work through a structured checklist of activities designed to reflect typical member touchpoints/interactions with your organisation. We provide a core list of areas we recommend every mystery shop should consider and a further selection to suit your needs. Designed to take two days to complete, including initial consultation, the results will provide you with recommendations either to carry on with the great service provided or suggest possible next steps for improvements. We know it costs more to recruit new members than to retain them. Mystery shopping can remove the pain from the process, for both the organisation and the new member, using insights to create a positive experience with fewer loss points & queries and better informed new members who are already engaged and ready to participate and to act as advocates. At the simplest level, frictionless renewals processes are more effective. However, mystery shopping can help you deliver so much more- by, for example, optimising the way you showcase your benefits and the journey taken to access them- delivering real value through improved engagement and enhanced upselling opportunities. We differ from other mystery shopping services as we take a task or user journey focused approach. So rather than offering, say an ‘online mystery shopping programme’ or a ‘telephone mystery shopping programme’ we will ask clients to identify activities or tasks that they would like to understand better, to ensure they are giving their community an overall positive experience. 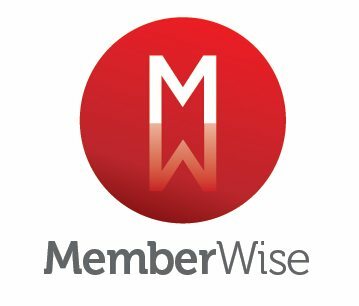 In order to provide an effective mystery shopper service we believe it is crucial for the activity to be conducted direct by a professional who has had the responsibility for the effective delivery of member facing services for leading membership organisations and associations. Why? Because only someone who has had the responsibility will be able to spot particular areas of strength, missed opportunities, areas for development and areas that require immediate action/change to improve member journeys/experience. This approach ensures all feedback and recommendations are positive member outcome focused, relevant/appropriate, robust, fully quality assured and action focused. We would like to introduce you to our mystery shopper service lead, Stephanie Richardson, who is responsible for delivering this great new service. We can also help organisations to prepare for license and regulatory reviews/assessments, and help organisations ensure they are meeting their own governance standards- e.g. to see if applications are being assessed consistently and fairly, with all evidence being provided. This is more of a paper- based exercise sitting alongside our mystery shopping services. To celebrate the launch of this great new service we are offering one membership organisation/association the opportunity to access to this service completely free-of-charge in return for a formal message of support. Our Mystery Shopper service is delivered by Membership Expert and Consultant, Stephanie Richardson. Stephanie has worked within the membership sector for over 12 years and has worked for high profile organisations including the Institute of Physics (IOP). Find out more about Stephanie below! Stephanie is an independent consultant with nearly 20 years leadership experience of service delivery in membership and education, most recently as Head of Professional Recognition at the Institute of Physics. Practical and pragmatic she believes in developing excellent relationships and processes so that organisations and people can reach their potential.